Ladakh the ultimate dreamland lies nestled in the great Himalyan rainshadow area. 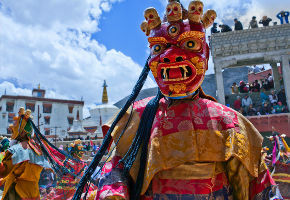 Leh is the largest town of Ladakh, and stands at 3,521 m. Trekking in Ladakh is considered to be very unique compared to all other places. 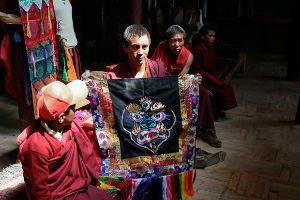 This land of insurmountable mountains and fascinating monasteries is beyond mortal imagination. 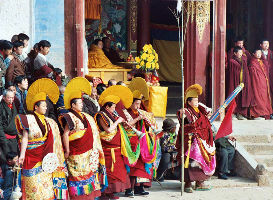 Important places of attraction in Ladakh are Leh Palace, the monasteries of Shey, Hemis, Alchi, Thikse and Lamayuru. 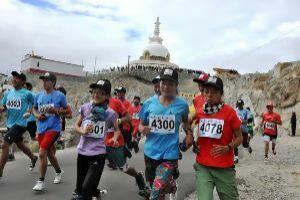 Lest we forget the Markha Valley trek over Gongmaru La and Gandha La are the most adventurous ones. 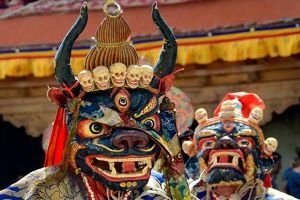 An amazing region of Jammu and Kashmir, Ladakh, represents a remote beauty that exists between the Kunlun mountain range in the north and Himalayas to the south. The serenity of the area is worth watching and visiting which naturally prevails in the place. 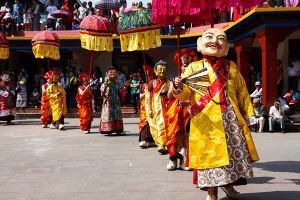 Mostly under the influence of Tibetan culture, this immaculate heaven is sparsely inhabited by Indo-Aryan and Tibetan people. Steping a foot on Ladakh land you will suddenly discover the kingdom of artistry created by God resting in peace like a roof of the world at high altitude. The majestic beauty delivered by this paradise of earth is no less than a fantasy that is the creation of your own mind. 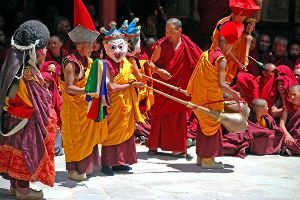 Often referred to as a Little Tibet, Ladakh is the place which still promotes Mahayana Buddhism as its tradition. 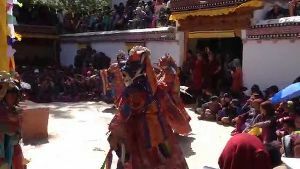 The spiritual enchantment is a precious asset of this region, which is lived by Buddhist monks following rhythmic chants in the ancient monasteries. Admiring the unexpected appearance of this town you will think that the time has stopped for a while at this destination. Pangong Tso (Pangong Lake), Tso Moriri, Hall of Fame, Drass War Memorial are the major attractions in Ladakh. Trekking, Motorbiking, River rafting Are the major things to do in Ladakh. Leh airport is connected by flights with Delhi, Jammu and Srinagar. The nearest railhead is Jammu Tawi connected with all major cities and towns in India. Leh is connected by good motorable roads to all major places in India. harsh weather but scenic beauty is incredible. My overall experience in was Excellent. Best time to visit is Morning. It has easy and good availability of food & drinks. You are reading about Ladakh . 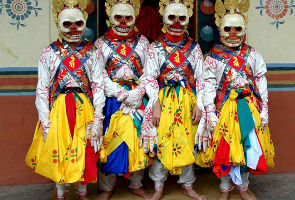 Find more popular activities to do in India. Plan your holidays to India or browse tour packages of India.